A full set of permanent, good-looking, and low-maintenance teeth is a substantial investment. But a whopping 94 percent of all-on-four dental implant patients would agree that the cost of full mouth dental implants may be the best investment you have ever made. People who are missing most or all of their teeth are missing a lot more than just dental crowns. They also miss the self-confidence that comes with a good smile, the clear diction that comes from a tooth-filled mouth, and many other things. Furthermore, the issue extends beyond teeth. As the jawbone degrades, which it does when teeth are missing, the entire face sinks. All On Four Dental Implants are comfortable, natural looking, long lasting solution for replacing missing teeth. 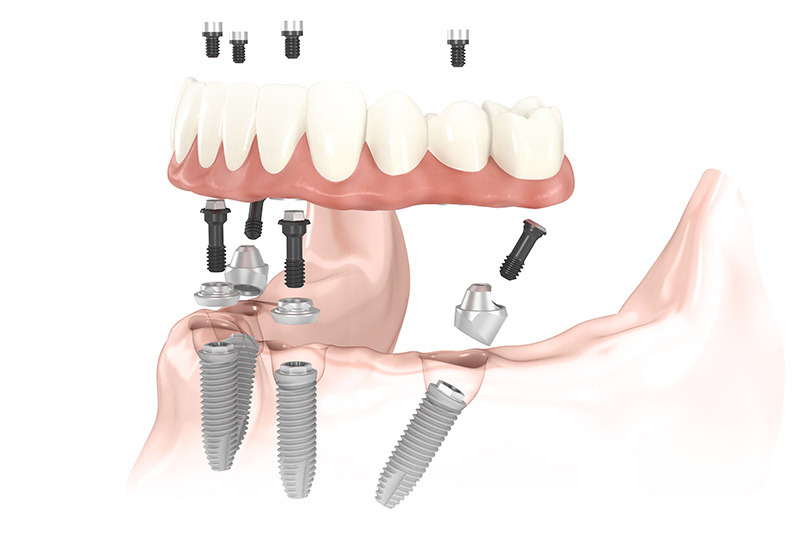 Using advanced tools and techniques, Dr. Stone can give you a full set of implants which rest on only four titanium posts. That’s the least invasive, most permanent, and most cost-effective solution available. Normally, each individual crown has its own titanium post, which acts as the new tooth root. But all-on-four implants are so balanced that four, strategically-placed posts are all that’s required. Additionally, dental implants are permanent from the bottom up. In just a few weeks, the patient’s bone cells grow around the titanium post, much like a hole in the ground gradually fills with dirt over time. Moreover, the crowns (visible part of the tooth) are impervious to bacteria, so they require only routine brushing and flossing. Depending on various factors, full mouth dental implants usually cost about $30,000. Insurance often covers part of the cost, and credit arrangements are available for the remainder. Should I Get All-on-Four Implants or Dentures? Getting the right dentures or implants can take years off your face and improve your quality of life. As mentioned, some people are not good candidates for all-on-four implants. Perhaps they have insufficient bone mass in their bodies or an invasive procedure is not an option for some reason. Fewer Side-Effects: In some cases, dentures create more problems than they solve. Possible side-effects include denture stomatitis, which is a yeast infection. 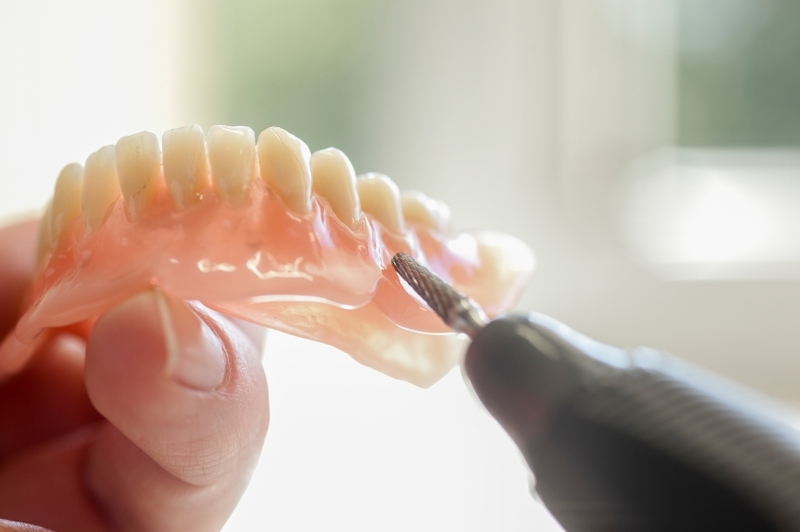 No Bone Deterioration: Dentures are almost entirely cosmetic. They are only designed to look good, and they do that well. But as mentioned, implants stimulate bone growth, and that growth has a number of positive effects. Improved Chewing: Dentures usually involve a number of dietary restrictions. In some cases, these limitations significantly affect a person’s health and lifestyle. All-on-four implants have none of these restrictions. Dr. Stone will carefully go over all the pros and cons of each available procedure, so you can make the best possible choice. 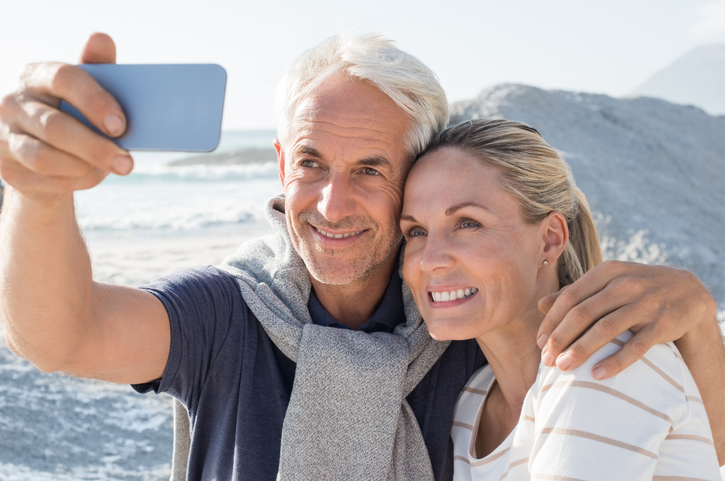 Solutions like all-on-four implants were a pipe dream just a few years ago, but Dr. John Stone can improve your outlook and oral health in almost unimaginable ways. To see what options you may have, contact Best Dental Associates today.